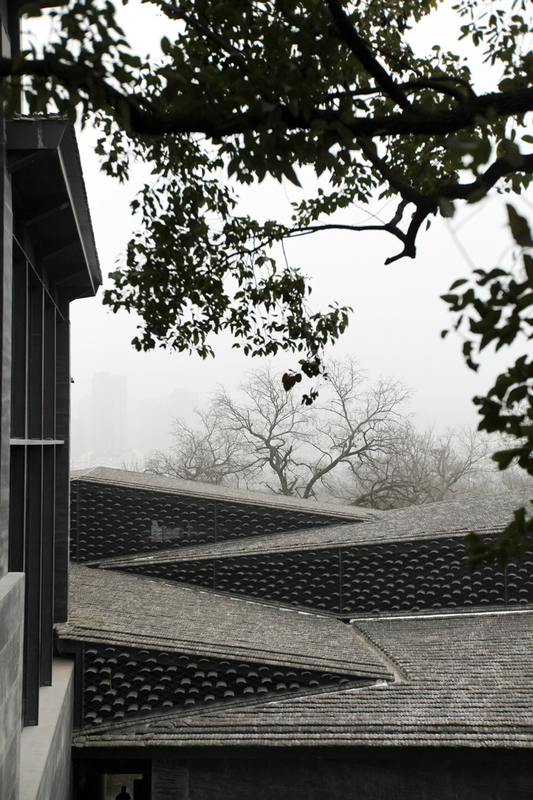 The Central Academy of Fine Arts (CAFA) in Beijing and China Academy of Art in Hangzhou serve a central role in the field of art education in China. 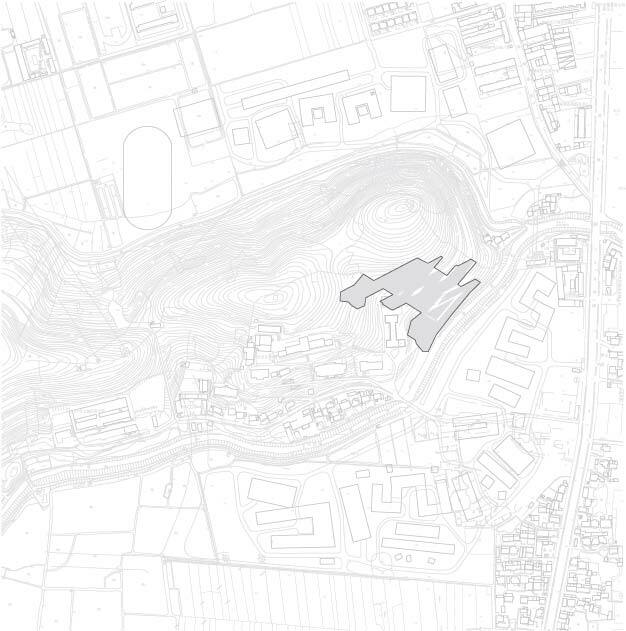 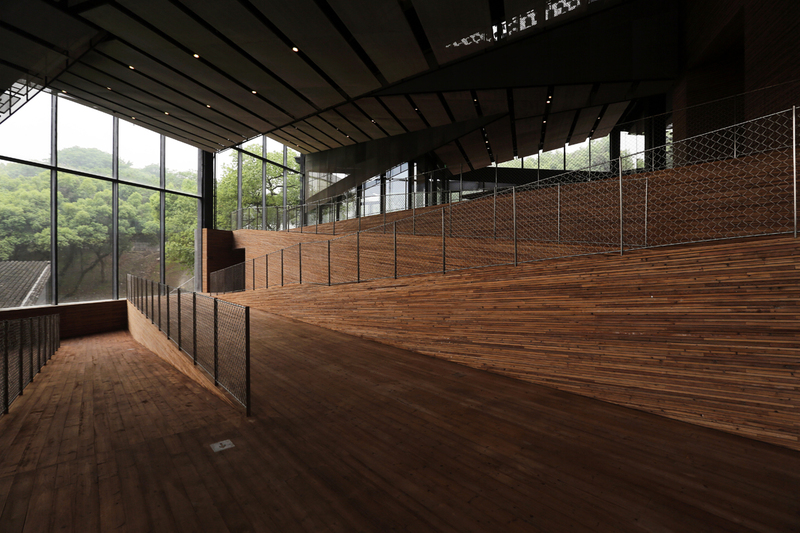 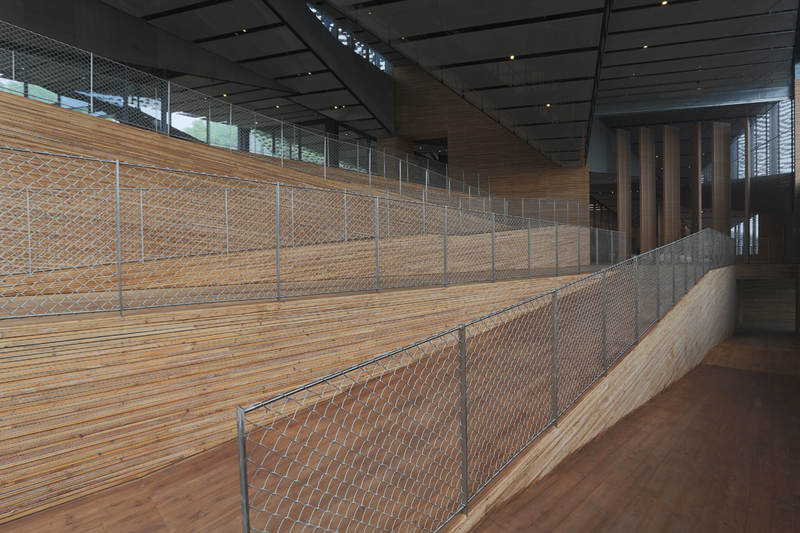 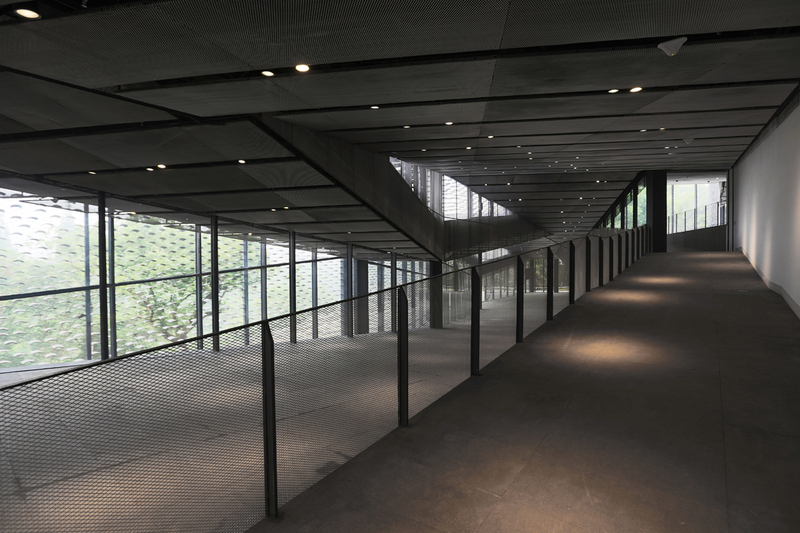 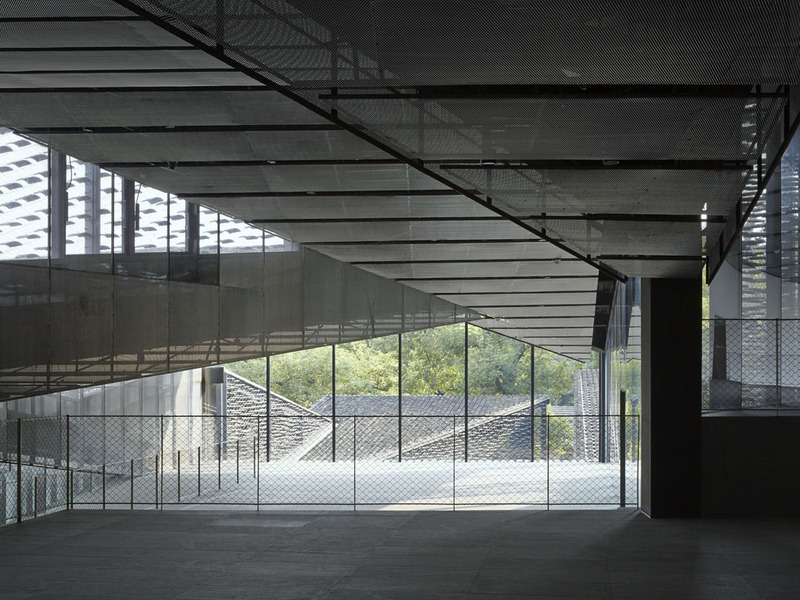 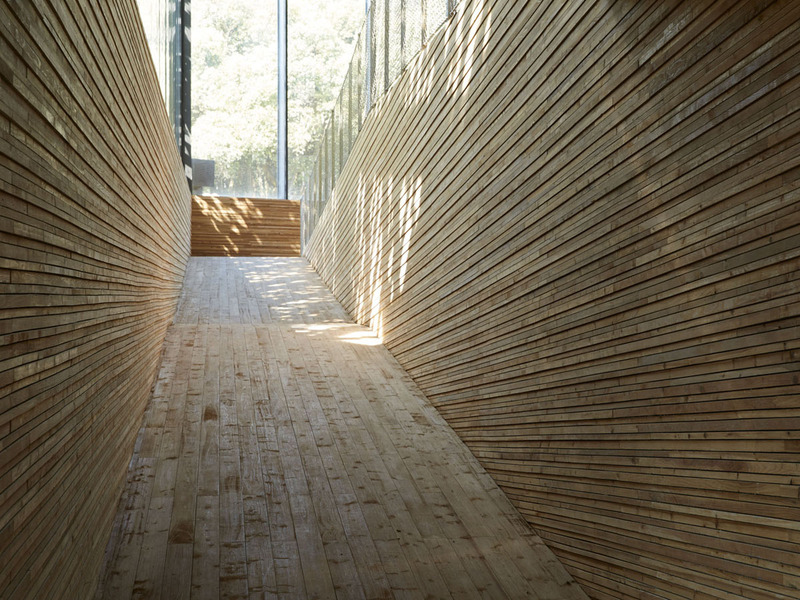 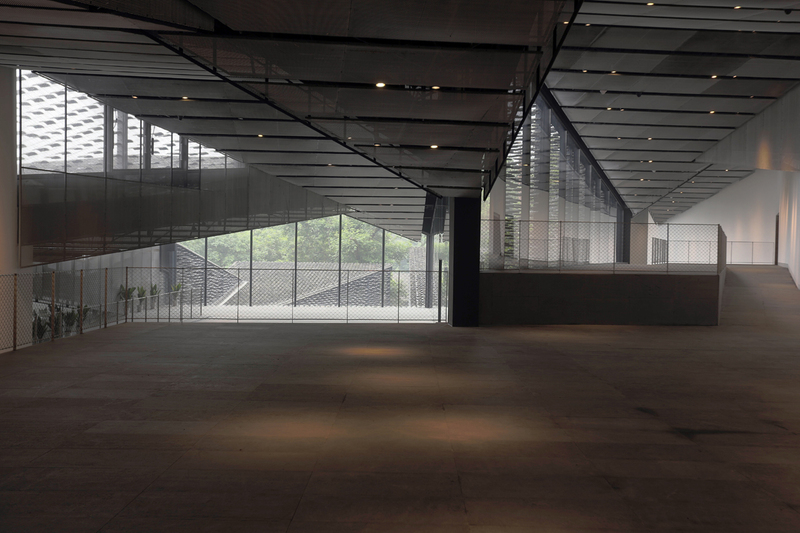 This museum which was planned for the China Academy of Art in the outskirts of Hangzhou was designed with the objectives of being in harmony with the environment and proposing a new relationship between people and art by creating seamless and highly diverse display spaces. 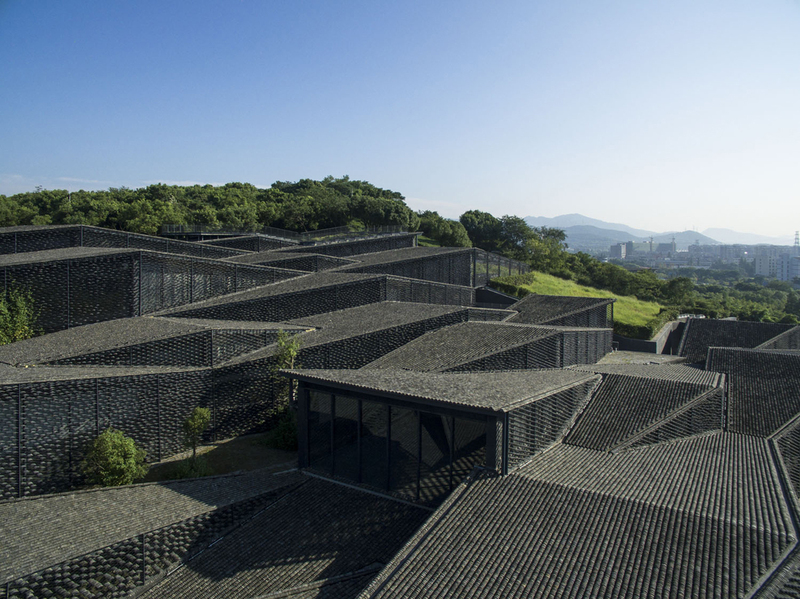 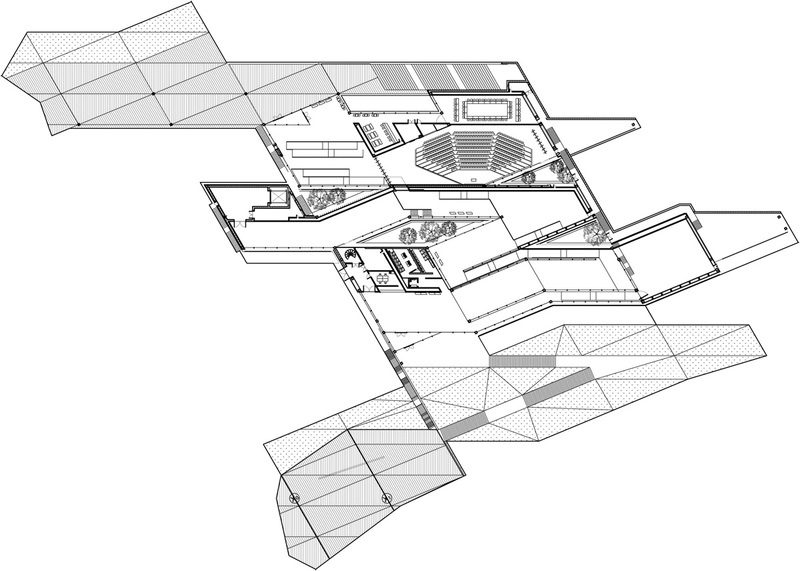 The structures were designed with cross-sections that blend in with the mountain slope to instead of grading it, with the respective display spaces seamlessly being revealed as you go through the museum. 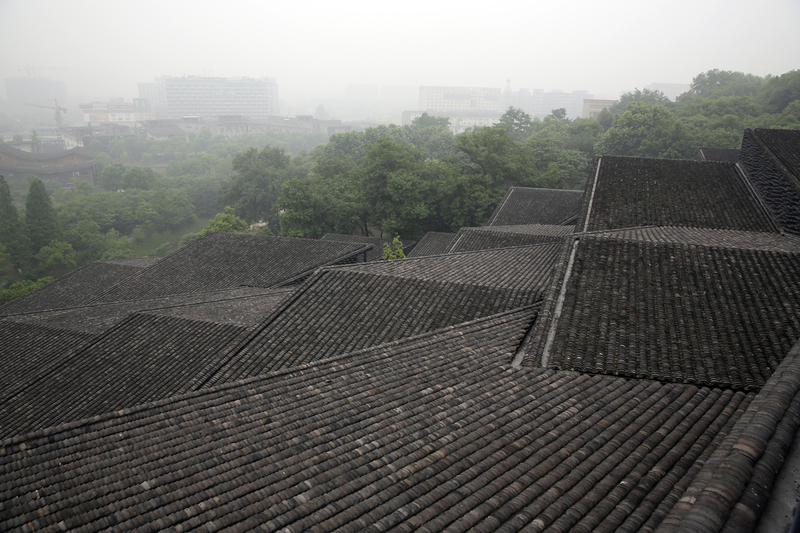 Roof tiles used to cover old homes in the area were gathered, and these and various other locally available materials with rich textures such as cedar were used inside. 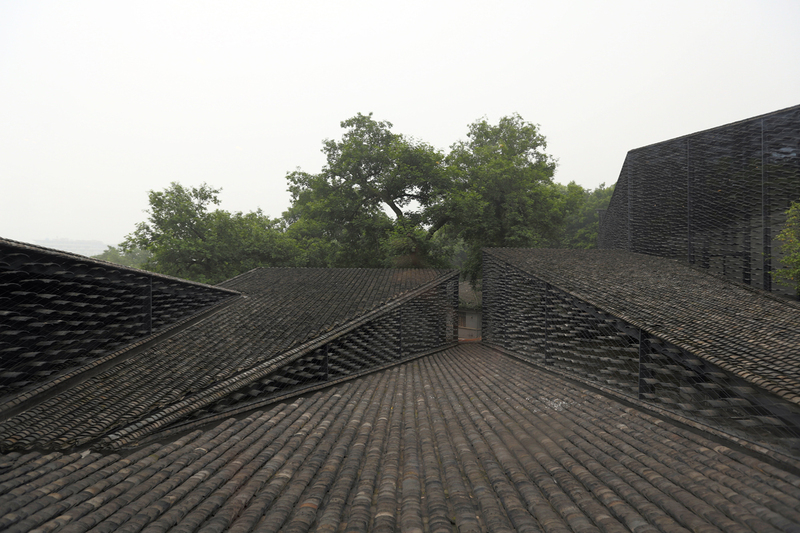 The group of small roofs that were made using these tiles give the museum the appearance of a village. 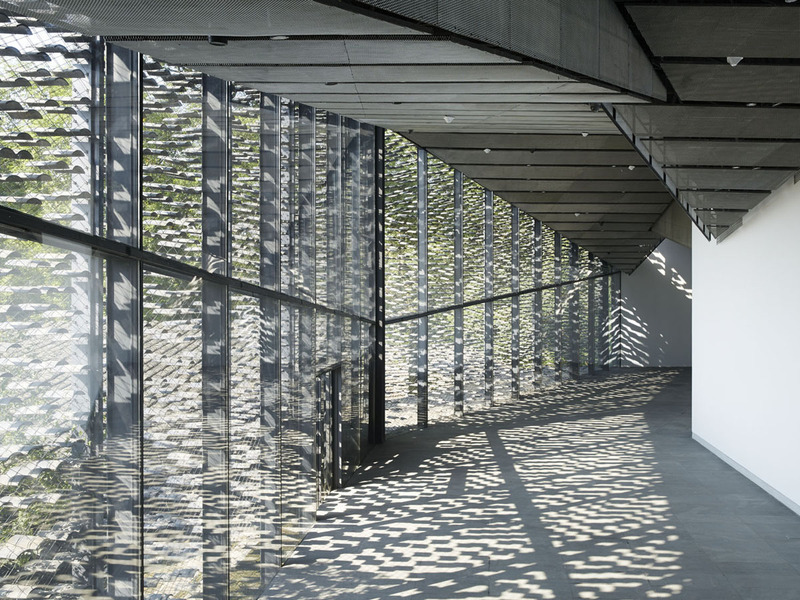 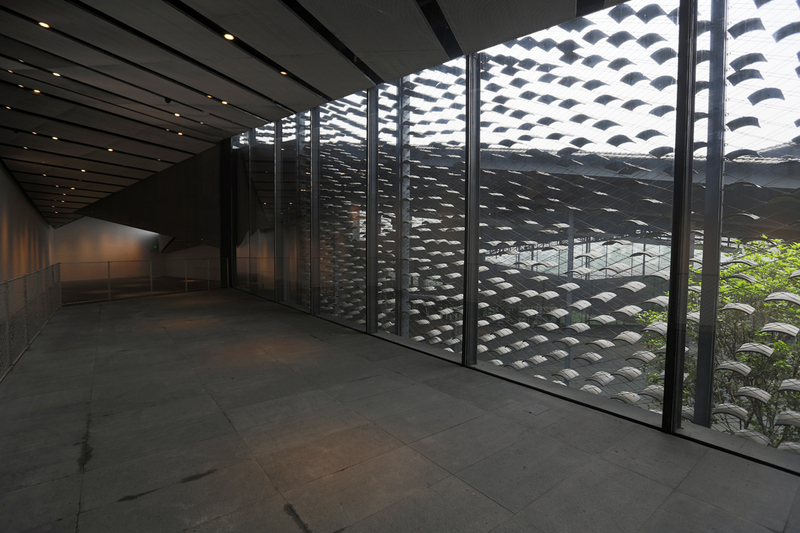 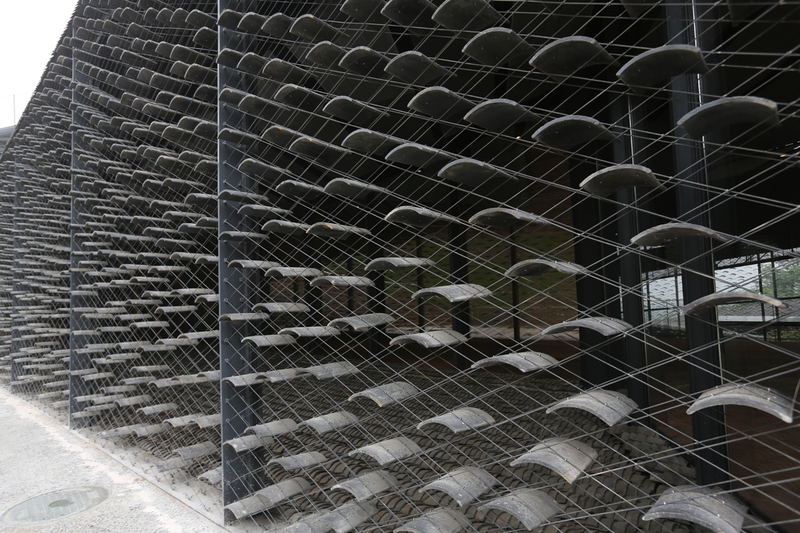 The tiles are held in place with stainless steel wire to create a screen which controls the light and view, and a façade that has a rich variation of shadows. 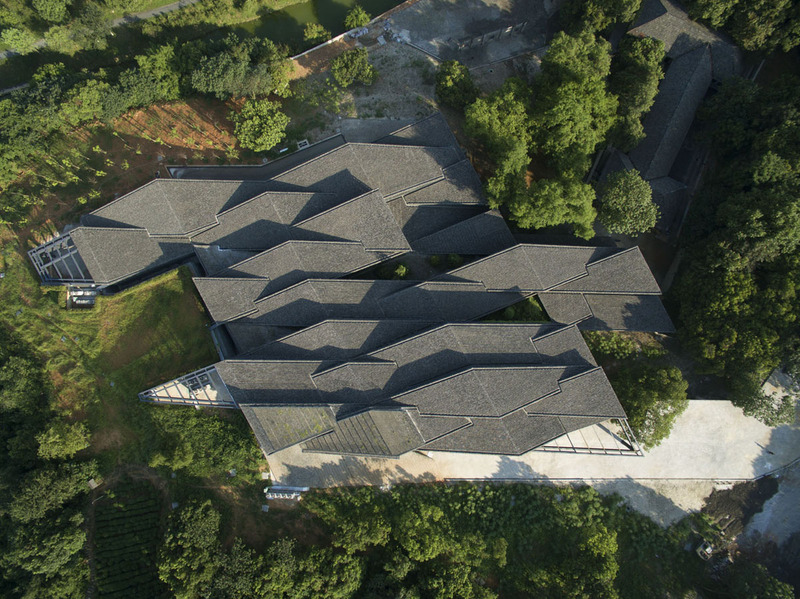 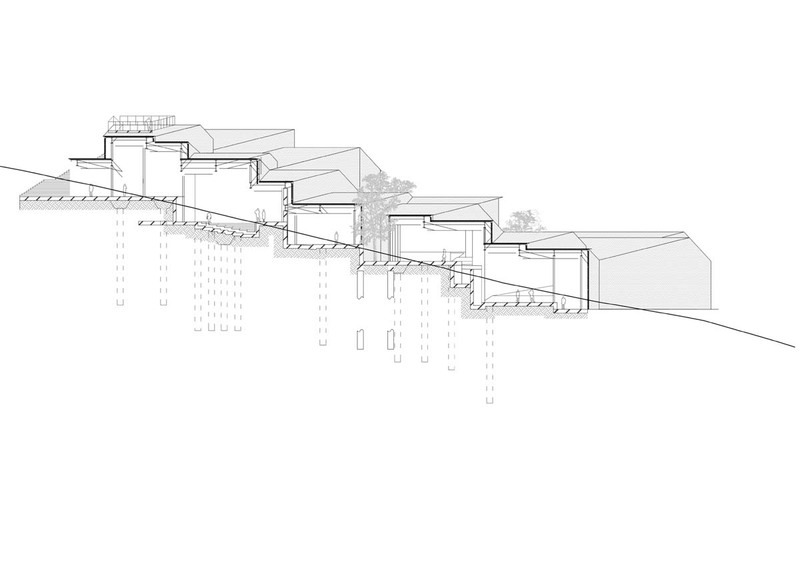 This methodology proposes the idea that rather than the gardens being in contrast with the architecture, the soil from the tea gardens is gradually transformed into the man-made architecture.